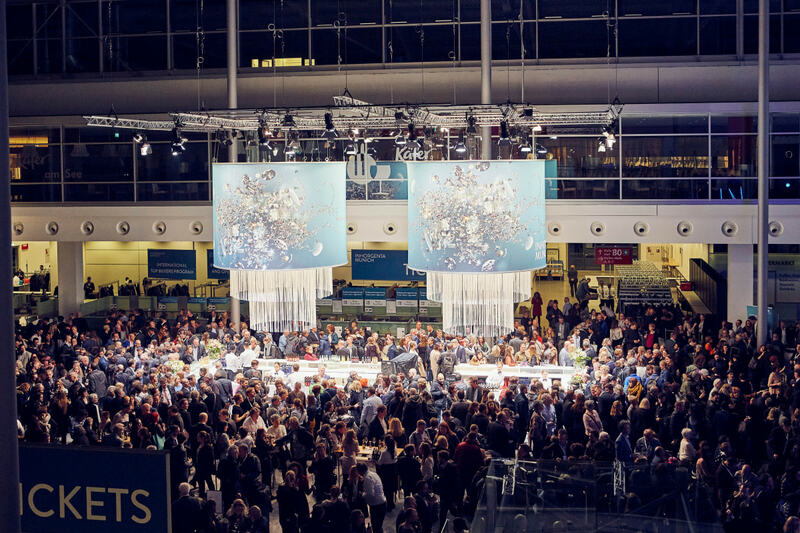 The five-day Vicenzaoro September edition generated an attendance of 23,176 people. This attendance was 20% up on last year, and includes 14,385 buyers (+22.7% compared to 2016) from 115 Countries. This is the best result since 2007, a sign of the winning strategy of Vicenzaoro, focused on the enhancement of the quality of the brands and jewellery on display, on the creation of a platform and a business network for the development of the international goldsmith and jewellery industry, and on the proposal of high added value content, including digital content, to accompany the industry through great transformations. As a result of this proposal, a scouting process was developed for the selection of the best and most qualified representatives of international buyer demand within the various distribution systems, including independent stores, retail chains, shopping malls, area distributors and specialised digital portals. The Italian Exhibition Group, which puts on Vicezaoro and other events around the world, attributes this to the success of this year’s show. In this context, September hosted 500 buyers selected from major markets and 800 gold buyers directly managed by IEG, who benefited from exclusive servicesduring the exhibition. Opinion leaders and trend setters from the key reference markets, influential speakers at in-depth conferences, and over 100 journalists from national and international media also took part in this year’s edition. Nearly 70 events were organised in and around the show, which is double the number compared to the 2016 edition, a growth that also involved the digital channel which had 30% more visitors and three times as many views of web content. In an exhibition format with a contemporary, digital and navigable design the exhibition was attended by 1,300 brands from 36 countries and from the main Italian goldsmith districts, hosted in the five districts Icon, Look, Creation, Expression, and Essence, under a project created to encourage business meetings between international demand and supply. As for the buyers’ countries of origin, there was a goodincrease in operators from Europe, with significant increases from Germany, the UK, France, Belgium and Spain, and from Central and Eastern Europe.There was a good growth of buying representatives from Turkey while the number of top buyers from the Middle East remained the same, with a significantly growing participation from Iran. The Americas and China confirmed the appeal of Made-in-Italy products, while Russian-speaking Countries had a positive recovery.